A Year Through The Lens: Day 337 – Mangrove weaving. Trinity Inlet has little tributaries’ that weave in and out through the swampy marshes heading towards the mountains. 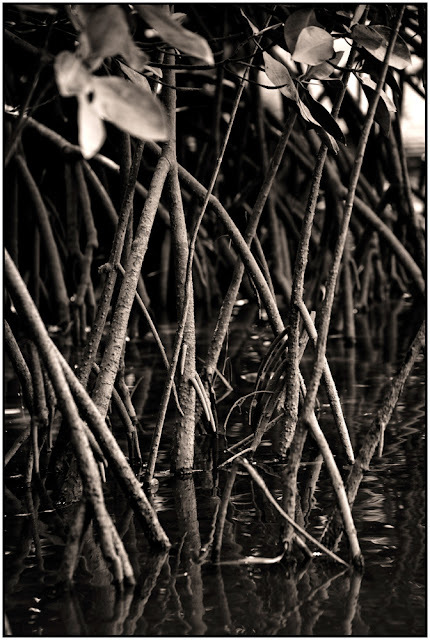 Mangroves line the banks. Their root systems reach into the depths of the mud and silt to create new homes for creatures seeking safety from the bigger predators’. Weaving amongst themselves to form greater protection and fortress for all creatures of the small world.